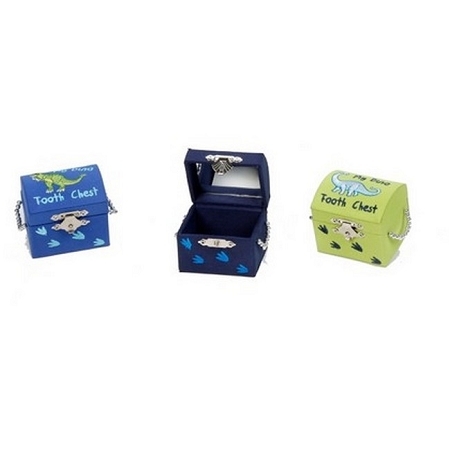 Dinosaur Tooth Chest with a faux pleather finishis available in blue, navy blue and green. Inside, there is a tiny mirror. Each side boasts little carry-all straps. This is a very chic gift!